I have been a huge fan of Susan Elliott’s blog for ages. She does amazing things with thread. She also does amazing things with her family, making the most adorable Christmas ornaments ever, over the top Independence Day fascinators, charming, just charming! 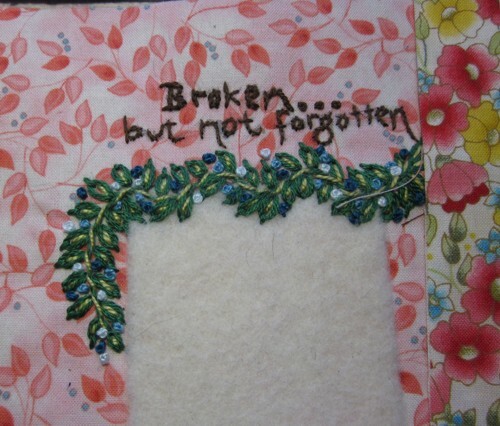 She’s also very thoughtful, using embroidery and words to capture her stories. This year, Susan introduced me to the Japanese festival of the broken needle, known as Hari-Kuyo. The Japanese embue all things with a life force, which requires that used up or broken things need to be properly mourned and buried. Click here for Susan’s wonderful description of the ceremonies. 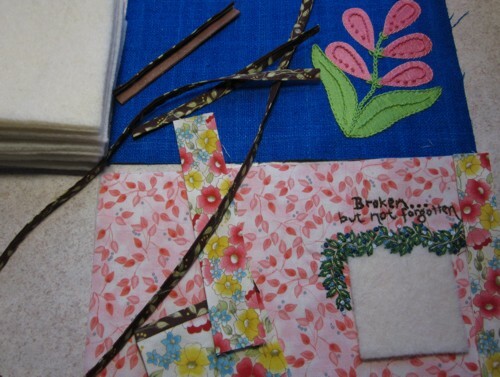 When she offered an online class on making her lovely needlebook, I didn’t hesitate to sign up. I have to admit, I was just as curious to see how she presented the material as to how to make the book. I hemmed and hawed on buying the kit just long enough to have the kits sell out. The sessions started while I was finishing up my whirlwind tour of southwestern Florida, so, after I cleaned up the studio and all the paperwork from the trip, I have used the last couple of days to catch up. 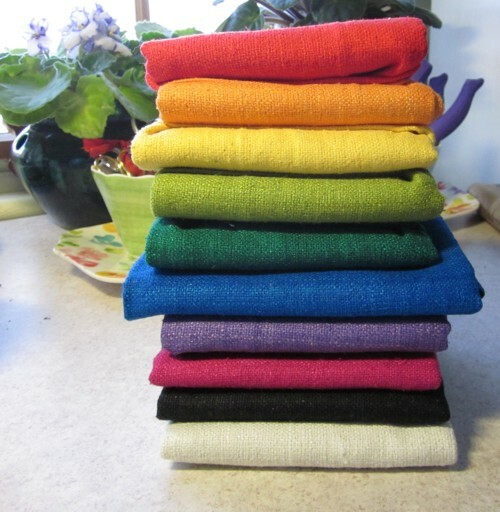 While I was in Sarasota I picked up a stack of yummy silk fabric fat quarters. 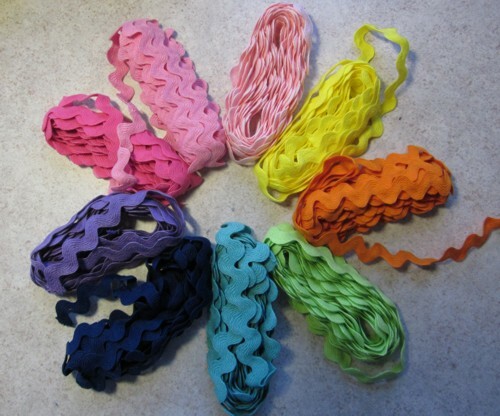 All of my favorite colors, and with this project in mind, I cleared off the shelf! Of course now I have enough to make approximately two thousand needlebooks, but I’m okay with that. Surprise, surprise, my final needlebook will look nothing like Susan’s. I couldn’t resist adding just a little bit of applique to the cover. 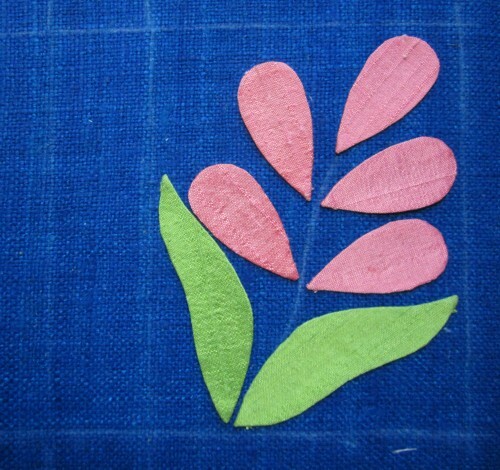 I started with small teardrop shapes, free hand cut from Wash Away Applique Sheets. And then cut a couple of leaves. 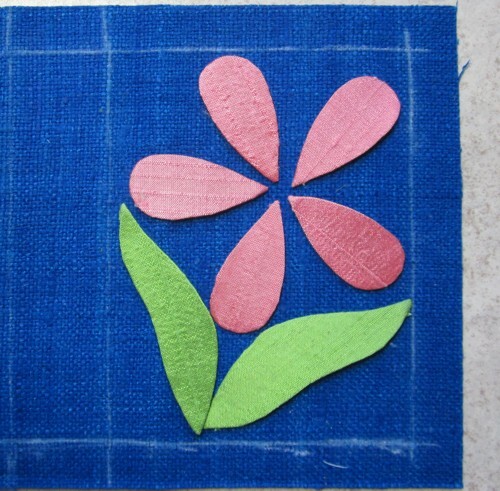 This was my initial layout, using dupioni silk for the appliques. Isn’t the blue background killer? Gosh, but I love silk. Much cuter, wouldn’t you say? I machine appliqued it in place using silk thread. I have such a limited collection that I had a tough time matching the fabric. I guess that means I need to get shopping. Our first job, after pressing everything, was to embellish the front cover. 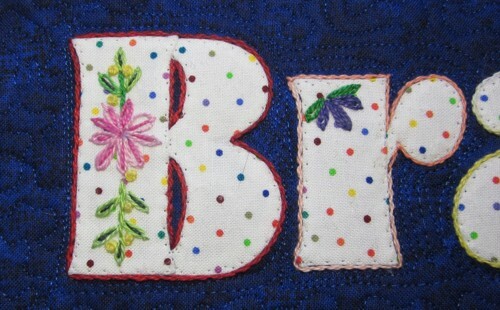 I am having so much fun adding embroidery to my applique. 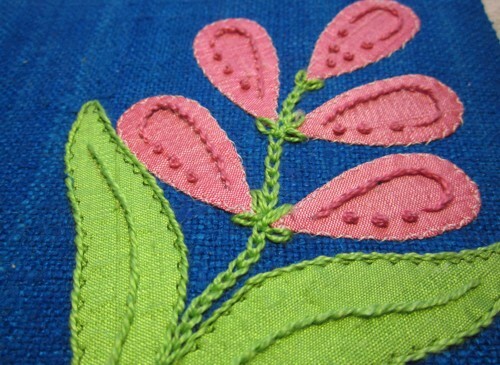 When I went to bed last night, I hadn’t yet figured out how I would embroider the flowers. 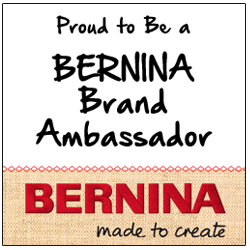 I could hardly sleep, I was so excited about working on this little project. This morning I just knew, just knew what the flowers wanted. Here are all the parts so far. I’m using bits of fabric from the line I designed a while back. I love this colorway. It’s not quite peach, but not pink either. It’s like the tender insides of a shell. I’m all caught up now, ready and waiting for the next step to be posted on Monday. It has been a dreary winter, dark, gray and wet, with hardly any snow to brighten the day. It's so hard to keep my spirits up when the world feels washed out, simply drained of life. 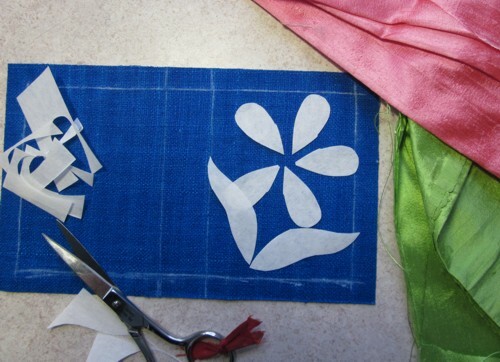 What's a quilter to do? For me it's time for a little stash enhancement. I am drawn to clear, bright colors, like a moth to a flame. 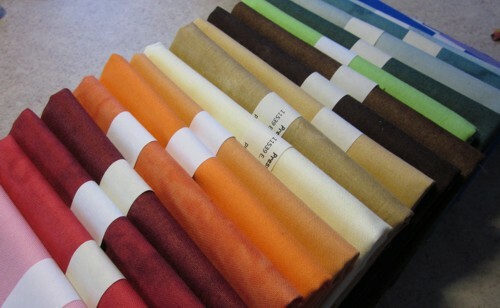 The fabrics at the top of the post are the silks that I found in Sarasota. I bought almost every fat quarter on the shelf, leaving behind only the brown, gray and taupe. I felt bad for them, and I tried to add them to my stack, I really did. But I just couldn't do it. Why do I need rick rack? I don't know, yet. But it had just arrived at the shop when I was there to pick up my new machine, and it was so joyful! What am I going to do with it? Well, I think that's a question that no self-respecting quilter needs to answer. Having chosen a word for this year, I decided that I needed a reminder, for those times when I think I must have lost my entire mind to get on a plane, meet up with people I have never met and put myself at their mercy. To make it, I used Corel (my fav graphic design program) to find a font to set the right tone, reversed it and printed it out on a sheet of the Wash Away Applique Sheets. I decided that the tiny inside curves would be no fun at all, so I separated the letters into two parts.